Watch collectors are sometimes emotional, philosophical, strident. “No Rolex will ever wrap around my wrist. They’re as common as pigeons.” “Ugh, TAG Heuer watches, they’re fashion watches.” “Omega? You’ve got to be kidding. It’s just another Swatch watch.” You’ve heard it all, I’m sure. Maybe you’ve even uttered words like, “Sure Patek’s considered to be a great watch, but it’s so boring looking” yourself. in quartz. Photo from Kickstarter. One of the more commonly held watch prejudices is that of the anti-quartz contingent. I used to be anti-quartz myself, right after my pro-quartz decade. It’s easy to be anti-quartz—it’s acceptable and considered normal wristwatch collector behavior. I understand the anti-quartz point of view. Quartz watches were the tsunami, hurricane, and earthquake all in one that shook up and almost destroyed the Swiss watch industry. Watches were all mechanical until the 1970s, but when quartz watches came along, they were the cat's pajamas: super accurate, never needing winding, and cheap. Why wear a relatively unreliable mechanical watch that might make you late for your train, when you could have a wonder of technology on your wrist? It was called the Quartz Revolution everywhere in the world except for Switzerland, where this change from spring to battery was called the Quartz Crisis. In 1970, there were 1,600 Swiss watchmakers. After the Quartz Revolution, there were only 600 left. Switzerland was unprepared and nearly defeated. Eventually Swiss watchmakers learned to coexist with quartz watches. The Swiss watch industry made some bold changes—they created the Swatch group, for one, which owns Omega, Blancpain, Harry Winston,Tissot, Breguet, and Father Time himself. The Swatch group now employs over 35,000 people around the world. Swatch is the nuclear reactor that powered the resurgence of mechanical watches. But why should you buy a quartz watch? Quartz watches are pretty amazing. Let’s begin with Grand Seiko’s quartz watches, which include the SBGX061 at a jaw-dropping $2,500. That’s a briefcase-size amount of cash for a quartz watch. But in addition to being beautiful, Grand Seiko quartz watches are accurate to within plus or minus 10 seconds a year. Now that’s an incredible feat. Read about how Seiko achieves such extreme accuracy in Watches by SJX’s terrific article, Explained: Seiko 9F Quartz Movements - Definitive Proof That High-End Quartz Exists. Seiko isn’t the only super-accurate quartz watchmaker. Bulova’s UHF quartz watches, which range in price from about $200 to $750, operate at a frequency of 262 kHz and are accurate to within a few seconds a year. 262 kHz is eight times faster than regular quartz watches’ frequency. If accuracy is your mission, then consider radio-controlled watches, like the Casio Wave Scepter Tough Solar Radio-Controlled Watch (about $200), which sets its time from a radio time signal and is powered by light, so you can skip the biannual trip to the jeweler for a new watch battery. Casio and Seiko make watches that set themselves from GPS signals, and these watches are the most accurate watches in the world. The solar-powered Seiko Astron automatically senses what time zone you’re in and sets the time and date accordingly. It goes without saying that the Seiko Astron accounts for leap seconds, too. You’ll pay between $1,000 and $2,000 for that privilege. Trust me: If you wear the Stop2Go, you’ll be looking at your watch every 58 seconds. The age-old question about wristwatches is: What’s more important, the movement inside or the design outside? Maybe it’s not that old a question given that quartz watches have been around only since the 1970s. But it’s an important one, because watch enthusiasts spend hours drooling over watch movement specifications, and our heart rates spike when we hear words like “escapement,” “balance wheel,” and “tourbillon.” Sometimes we pay less attention to the outside of a watch than we should. 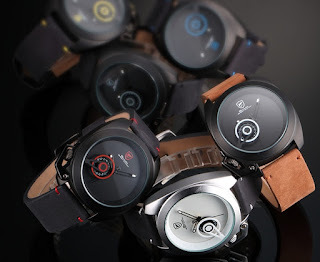 There are some great watch designs that come only in quartz flavors. Mr Jones watches come to mind when I think of quartz. The Mr Jones Sun and Moon watch, which shows the hour by the position of the sun or moon along the crescent that spans the watch’s top 180 degrees, is a very cool looking watch. The M-Theory Zero Gravity Time and Space Gravity Watch’s hands look like they are floating over the watch’s face, instead of being attached to the watch—that’s another amazing watch that doesn’t have a mechanical movement. Quartz watches aren’t just fashion watches imported from the Ninth Circle. While the watch industry is dominated by big companies and brand names, there are young upstarts constantly entering the business. Like any industry, some will succeed, and many will fail. 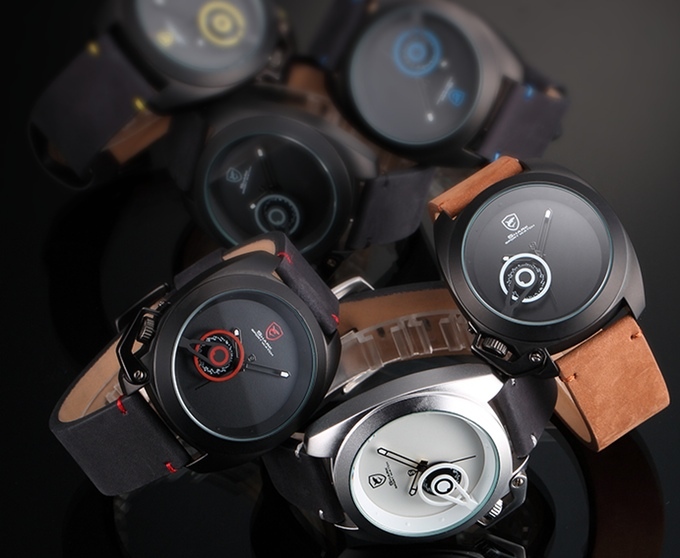 Whether they do it because it’s easier or less expensive, many startups use quartz movements. Some will transition to mechanical movement. By buying a new watch company’s quartz watch, you may be helping give birth to the next Nomos or Romain Jerome.